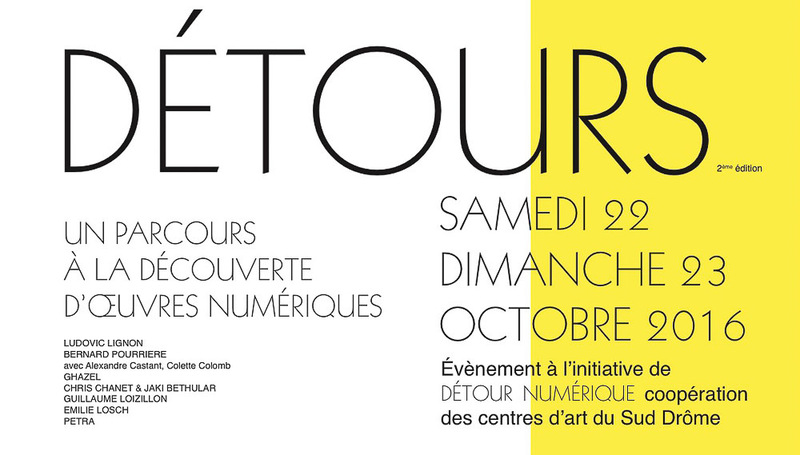 Détours Numerique is an art route which takes you along several galleries in the south Drome of France. 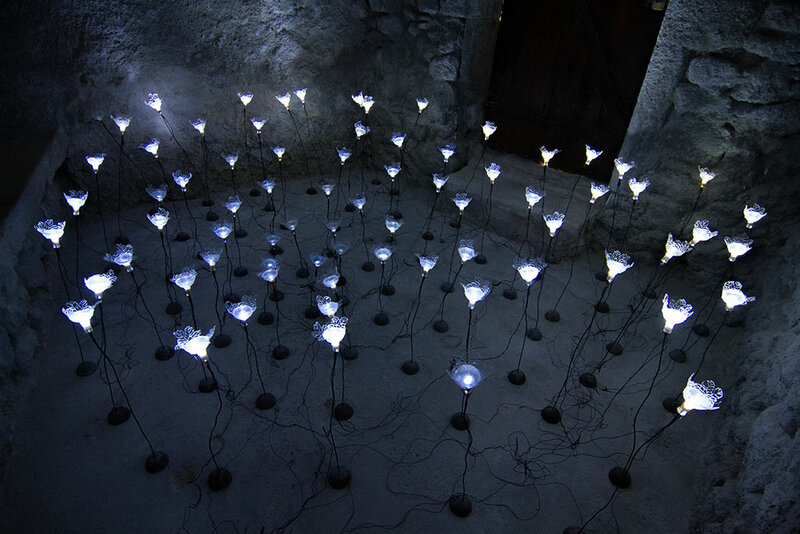 It is a tour which lets the participants discover digital resources used for the creation of art, two days in a row. You stroll from place to place with a touring car or with your own transport and on each stop the art exhibited was elucidated by the artists or the gallerist. 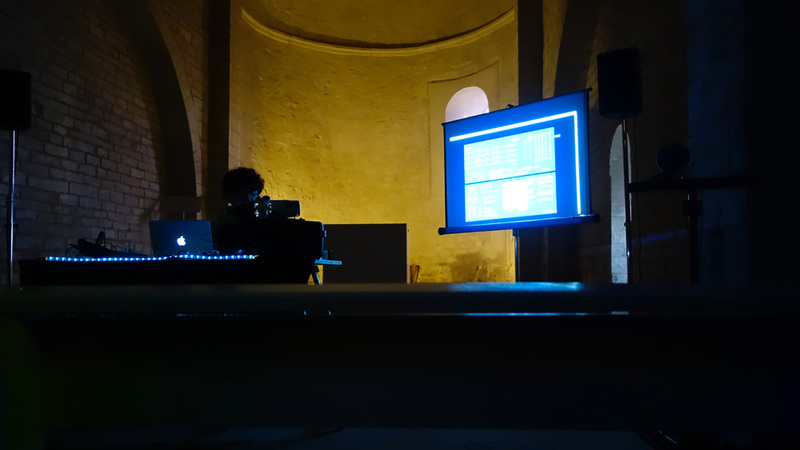 It was a very divers event ranging from the usage of digital cameras via more algorithmic approaches to the use of 3d printers and digital means of sound creating. 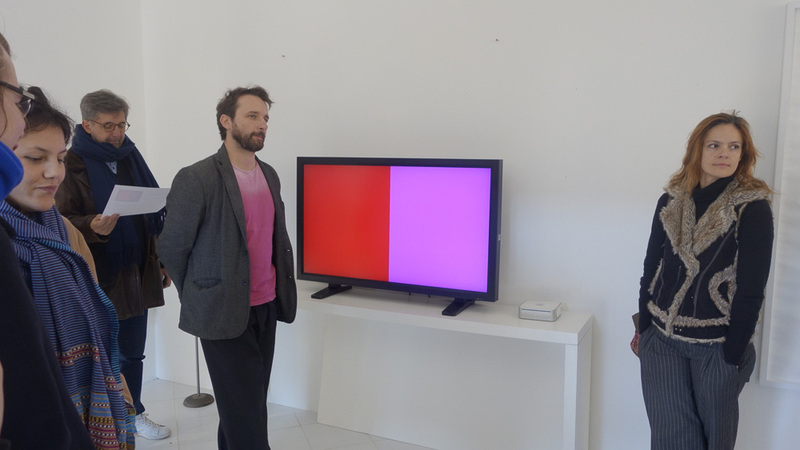 Here were two works by Ludovic Lignon on display with a very algorithmic approach. One showed a large screen with randomly chosen bi-coloured images, the other was concerned with time and showed LEDs who were pulsing at different intervals whereby the large interval was a multitude of years. Eye pleasing work but in our humble opinion was the underlying math not up to spec. It made us think of the work of Peter Struycken from his early years. The place itself was beautiful and beside the digital works was a collection of modern furniture on display with pieces from Rietveld, Le Corbusier etc. Here we were shown a couple of performances by Bernard Pourriere. The link between the works was the usage of sound. 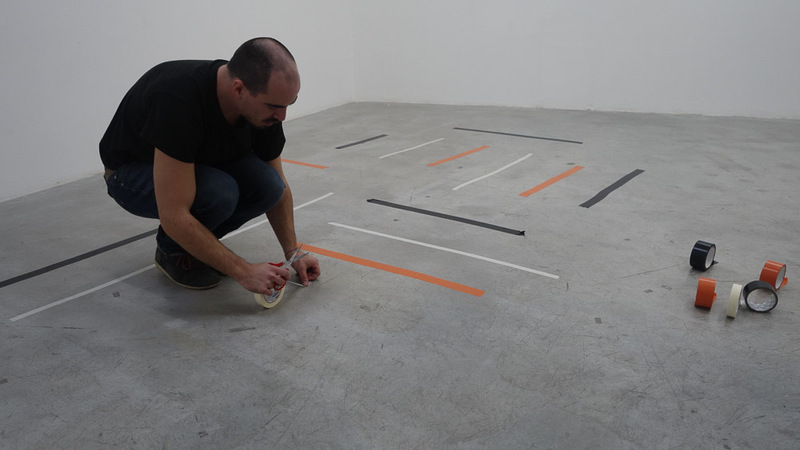 Our preferred performance concerned a floor on which lines were taped based on random sound instructions. Very Fluxus but also poetic indeed. Here we were shown the least digital part of the route as we consider the digital part of the camera just a replacement of its analogue predecessor. 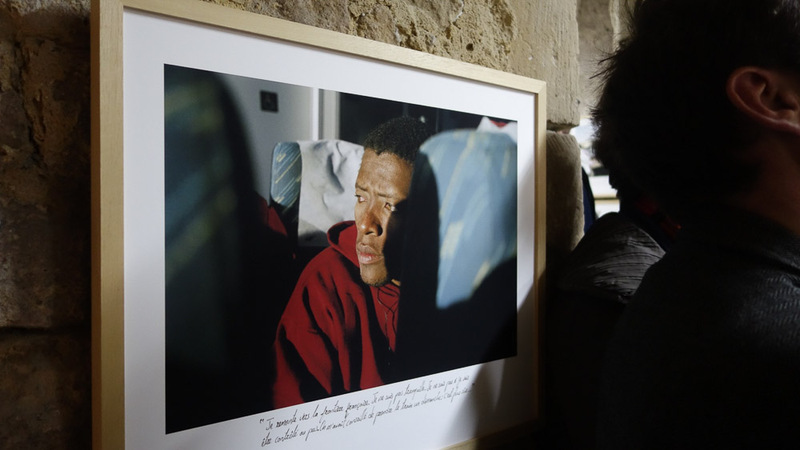 The subject was the faith of the refugees who try to enter Europe presented in a kind of photo diary by Ghazel. Very documentary and well done. The accompanying performance by an Iranian artist failed to captivate us, but then again, there are only a few people who are able to allure with just the aid of a whiteboard. 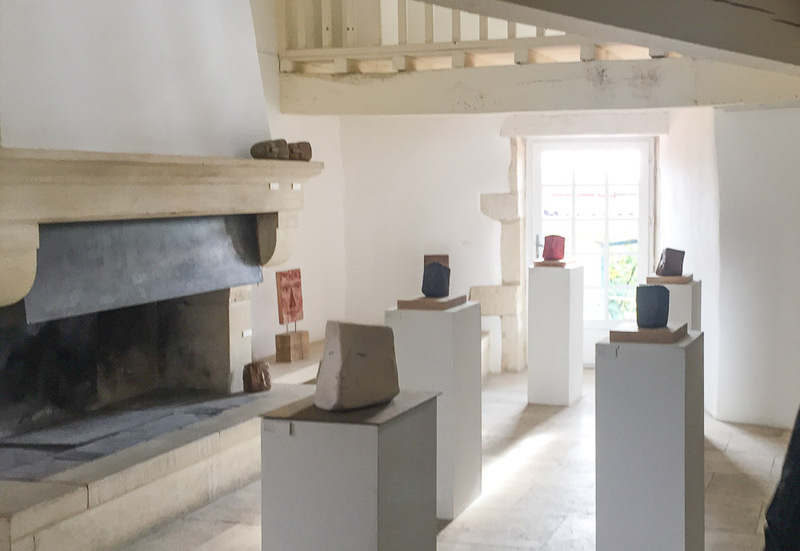 The next stop was the beautiful Espace d’Art François-Auguste Ducros which presented an exhibition on the theme of ‘bestiary’. For Detour a concert was given by two gentlemen: Chris Chanet and Jaky Bethular. Its was a sort of story told by sounds based on all kinds of animal noises. Very intriguing indeed. The chapel Saint Vincent was host to the second concert of the day. 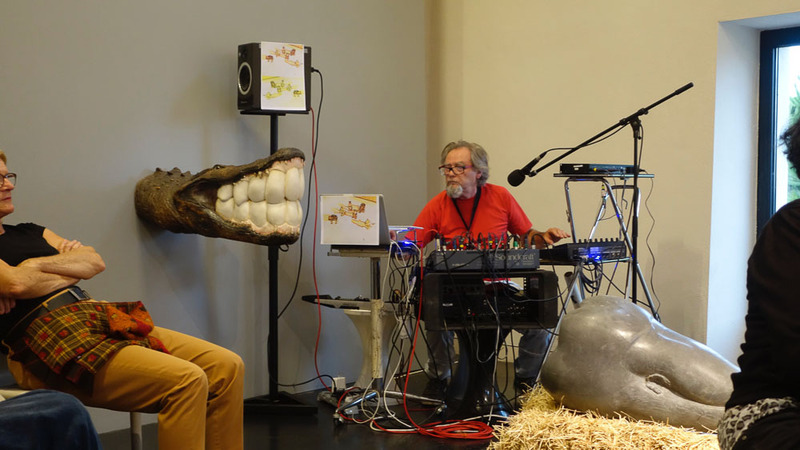 This performance had a different approach, where the former one was more a sort of storytelling, this was a sort of soundscape, a world made by sounds. The performer, Guillaume Loizillon, was seated as a high priest in the church which added a lot to atmosphere. 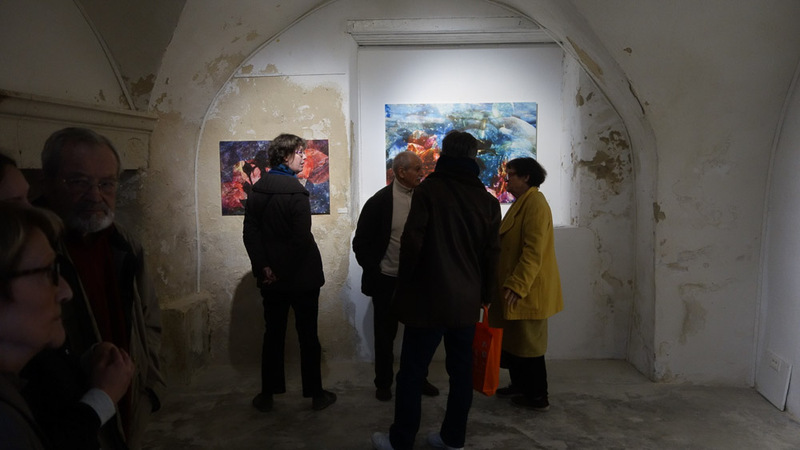 The last stop was in Valaurie with Pascale Louise, Emily Losch and work by us* . 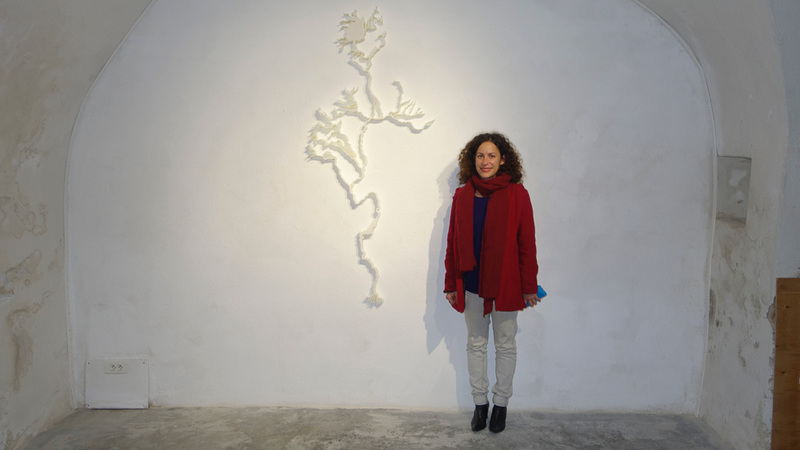 Emily presented her beautiful impression of the Nile, printed in 3d, poetic and elegant. Pascale Louise showed here intriguing nature based ceramic work. And we were given a perfect spot for the ‘Larmes celeste’ and also showed 2 large digital collages and two little videos. As wrap-up we gave a behind the scenes demonstration of some of the techniques used for creating the work. All in all two days full of art, encounter with all kinds of very nice people, beautiful villages all situated in the wonderful Drome. 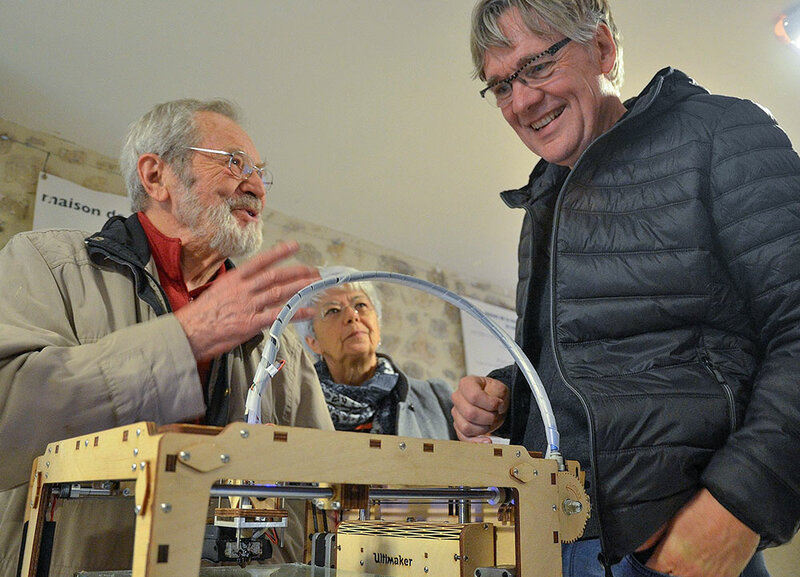 * As we are having a residence in 2017 in one of the participating art-spaces, we were invited to present work and to give a demonstration of on of the tools we use: the 3d printer.